If you’re anything like me, I LOVE my planners! I figure if I’m going to look at it every day, it needs to be PRETTY as well as functional. 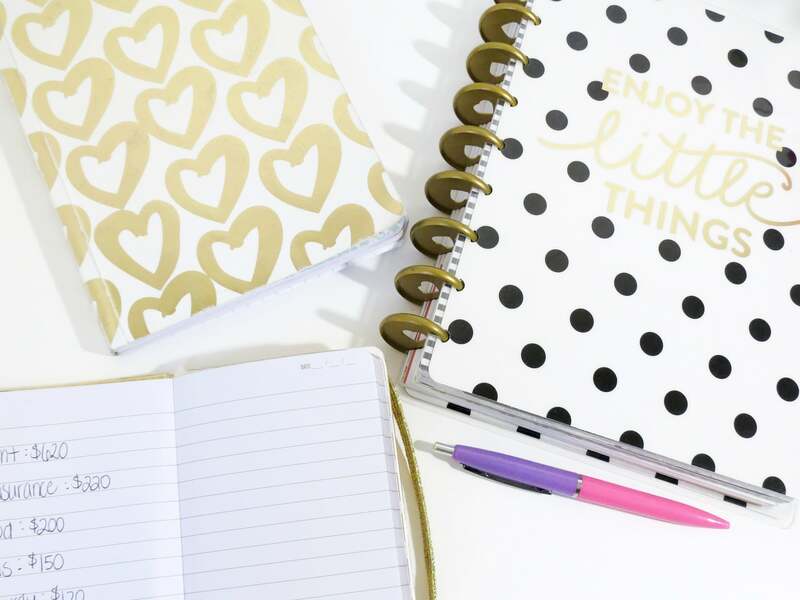 I’ve been all over the map when it comes to planners – buying the standard ones from our local teaching store, downloading editable ones I’ve printed myself, purchasing customized ones on Etsy, and eventually settling myself into a customizable Happy Planner. So how do I use my planner? At certain times during the year, I find it incredibly difficult to remember what I am doing class to class, day to day. This issue is especially pronounced at the beginning of the year before I get into a routine, but it surfaces from time to time. Without a doubt, my planner is the only thing that keeps me sane during those times. While the lesson plans I write for my supervisor are much more detailed, I keep an “agenda” of the day’s activities in my planner for each class. I always choose a VERTICAL planner that has the same number of sections as I do blocks/periods. So if I have prep and then three classes in the day, I would find a planner that had 3 vertical blocks. Each block was one class. In that box, I would list the activities we were doing that day. This was just a brief list to keep me on track, and I might note something I needed to remember to do (like check homework or collect permission slips). I also am notorious for forgetting to pass out homework (because I honestly don’t do it a TON), so on the homework days, I had to make a note of that in BIG LETTERS! These lists gave me a quick preview of what I needed to accomplish each class and kept me on track on a day to day and week to week basis. It also helped me figure out early on the pacing of the class – if I was consistently NOT getting through everything planned (or alternatively, finishing everything with time to spare), I would know to make adjustments moving forward. DAILY PLAN TIP: Cross out each activity as you complete it. Use arrows to indicate when an activity needs to be completed the next class and add it to the top of the following class’s agenda. I started keeping attendance sheets right in my planner using those graph paper insert sheets. If a student was present, I used my Stabilo colorful pens to draw a line along the left hand box border. If they came late, I put a line along the right side box border. And if they didn’t come at all, I left it blank. Attendance Tip: Stand at your door in between classes and take attendance as students walk in. It sets the tone for your interactions with students when you welcome them in by name, and it saves you time because the majority of your attendance is done before the bell even rings. If you teach clear procedures for starting class at the beginning of the year, students will know what to do when they enter, reducing the need for supervision prior to the start of class. I really upped my game when I started using that same attendance sheet to track grades. First, it makes it SO MUCH EASIER when you are trying to identify what work students might have missed during absences or why certain assignments are missing. Second, it reduces the paper-load. Third, you have a visual of the number of grades you’ve collected, as well as how those grades are distributed over the course of the quarter. I typically aim to collect one piece of data (typically a grade) each class when I work on a block schedule. Sometimes, it is something I collect (a lab sheet, a quiz, etc.) while other times it’s a notebook check done in class, participation points based on student performance that day, or even just a “3-2-1” based on a formative assessment we completed. When I enter my grades each week, I can easily enter the assignment name, the date it was completed, and the student grade. I then highlight the entire column so I know I have entered the grade. If a student is missing a grade for that assignment, I do not highlight their box so I remember to go back and enter the missing grade later. In addition to the plans, attendance, and grading, I also keep an organizer with parent contact information and notes about parent communications. I keep a record of any time I make contact with a parent, no matter who initiated it. I jot down what it was about — great job, disruptive behavior, missing work, etc. While this is a practice that is recommended by our teacher’s union to cover our butts, I have found it is helpful for me. I can easily access contact information at any time, so I can send emails or make calls when it’s convenient. I can reference the last time I spoke to the parent and what we discussed, which has been invaluable a few times that a parent has claimed they hadn’t heard from me about their son’s poor grades. And I can provide my administrator with the exact dates of incidents and interventions when behaviors escalate and administrative actions are necessary. It also makes it super easy to send out those “great work!” emails, because I can do it while I’m in a waiting room or relaxing on the couch. Parent Contact Tip: Make an effort to establish a relationship with parents BEFORE you start calling for the not-so-good things. How? I always spend the first week of school making phone calls home — I introduce myself and find one positive thing to share with them about their child. That way, if I have to call later about grades or behavior, it’s not the first time we’ve chatted. So that’s how I use my planner to keep myself and my classroom organized! The one thing I love about the Happy Planners is that I can remove and add pages SUPER EASILY. I don’t have to keep a ridiculous FAT planner – I can add weekly pages as they come up, and remove those that I have completed. I can add in a new attendance sheet at the start of the quarter, and remove the old ones when they are filled. I also love that I can customize everything – the colors, the organizers, the add ins. I’ve found that after about 6 months I get sick of the planner I have… this way I can get a “new” planner whenever I want, simply by customizing it to fit my mood and needs. It’s win/win! What are your favorite planner organization hacks?